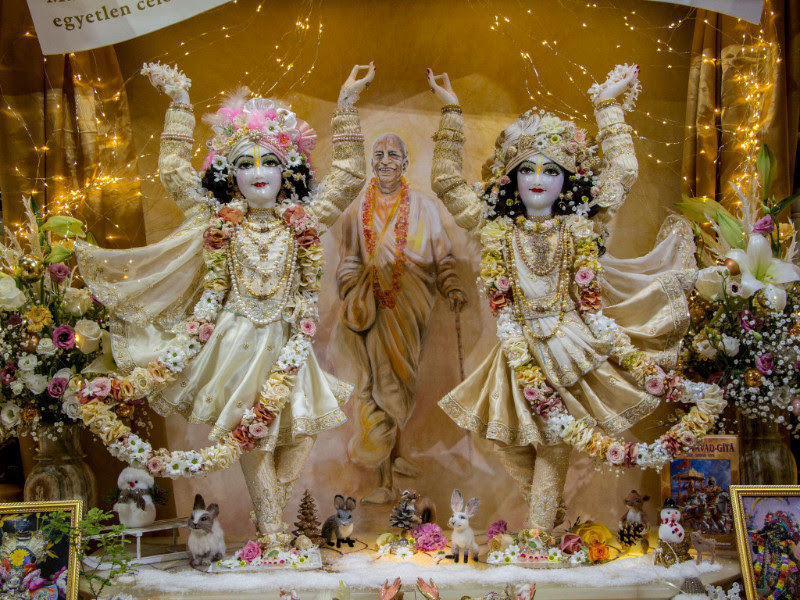 December was a quiet month for those devotees who could not be involved in Srila Prabhupada’s book marathon, due to supporting the daily services at New Vraja Dham. Although they received Radha-Syama’s wonderful darshanas every day, the sankirtana devotees were the ones who experienced the real excitement on the streets in the different towns and villages, feeling the real mercy and presence of Radha-Syama, Gaura-Nitai and Govardhana-lal while actively preaching. But let us get back to those wonderful darshanas for a moment! This is the time of the year when Surya-deva comes every day to personally take darshana of Radha-Syamasundara. When the sun is at its highest point in the sky during the day, a beautiful ray of light shines on Them starting from Their lotus feet, then moving upward towards Their faces. It enhances the beauty of the Divine Couple, and the local devotees try to take every opportunity to see this special moment whenever they can. On the 14th of December we held our annual Nitya-seva patron’s dinner at the Budapest Temple. We tried to give a review of achievements so far for the Nitya-seva project: our position with collecting funds, what kind of investments were made to date, and how interest made by investments already cover a part of the Deites’ maintenance. Once we have the final figures of 2017, we will provide a newsletter report. And because you were not present at this occasion, we would like to take this opportunity to say a big “Thank You” for all your contributions towards the Nitya-seva of Their Lordships in maintaining Their Daily service! The festive season is celebrated here a bit differently than with people in general: on Christmas Eve we welcomed the homecoming sankirtana devotees with a small festival and gifts of maha-prasadam. 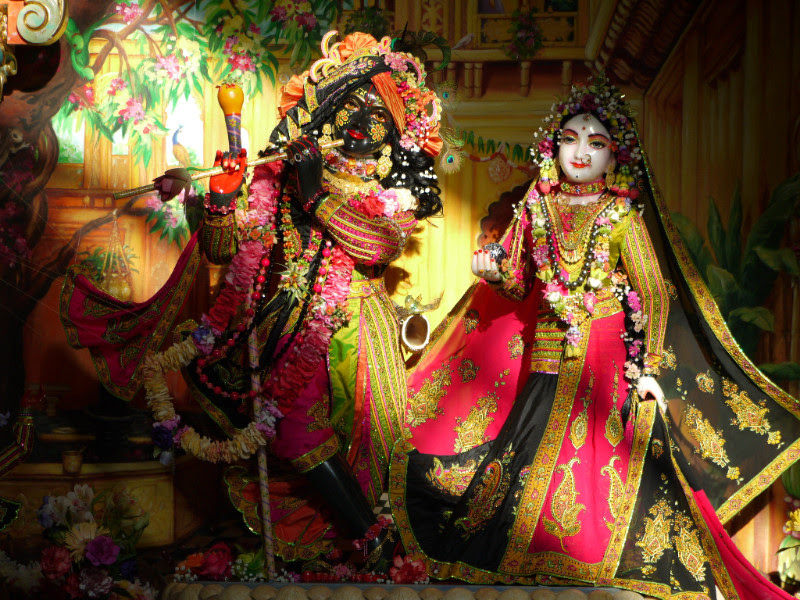 They were all so eager to arrive back at the lotus feet of Radha-Syama offering Them their tireless efforts. Two days later when everyone had arrived back, we invited devotees from the other parts of Hungary for an evening of continuous chanting of the names of Radha-Syama in Their Divine presence. On the last day of December at the sankirtana festival we continued the celebrations of the successful marathon, by glorifying the heroic book distributors. Dayal-Nitai Vijaya-Gauranga were waiting for them in Their beautiful white-gold outfit, bestowing Their blessings upon them while hearing their great sankirtan results. On New Years eve the harinama has become a tradition in Budapest and so the enthusiastic devotees filled with the mood of preaching, set out again in the evening to share the Lords holy names with the people. The Nitya-seva project also benefited from the marathon, as the Deities received one of the very successful sankirtana devotee’s book income as a Nitya-seva contribution. He managed to make half a Nitya-seva payment besides all the books he distributed! 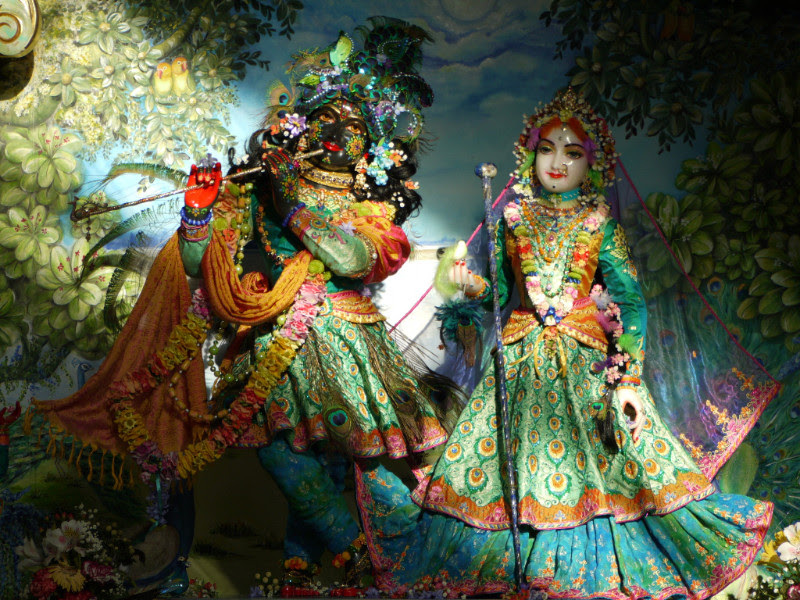 A few days before the patron’s dinner devotees held the annual Gita-jayanti also at Budapest. The profit of this successful program also contributes towards the Nitya-seva project! Apart from this two devotees began paying a full Nitya-seva payment and a kind family sponsored their second Nitya-seva day. Thank you so much! 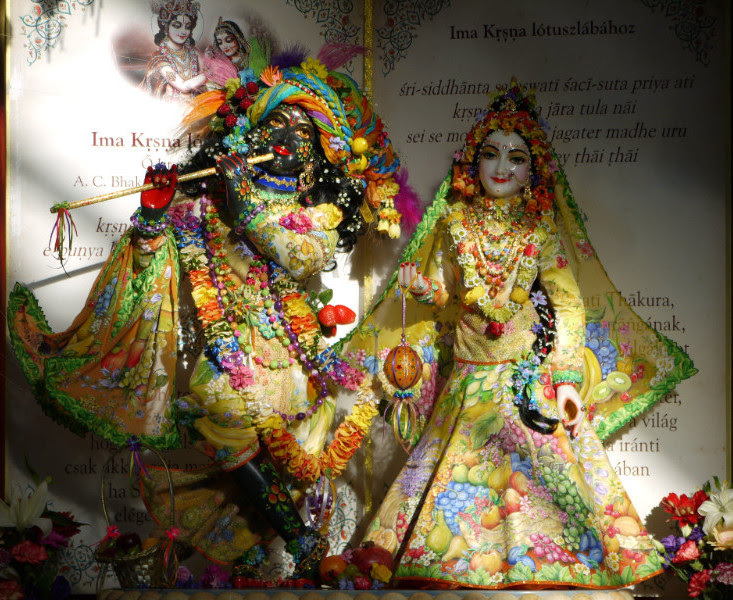 Let’s take a look at the month of January’s available Nitya-seva dates! The first two-third’s of January still awaits sponsors! Only four days are booked before 21st January: 1st, 7th, 8th and 12th. But after that just 26th, 27th and 30th are free to choose!